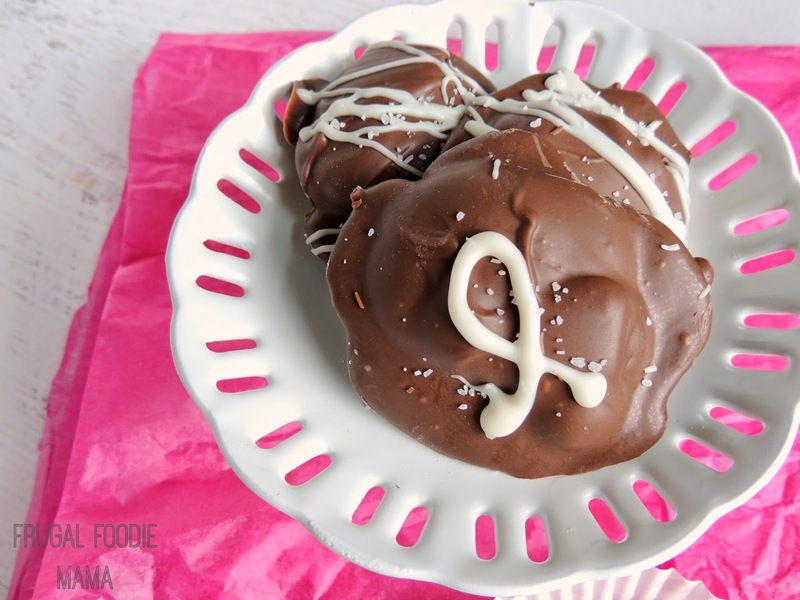 Chocoley.com provided this candy making-challenged food blogger with the necessary (& delicious!) supplies to make these sweet & salty, gooey Turtles. I was not compensated for this post in any other way. 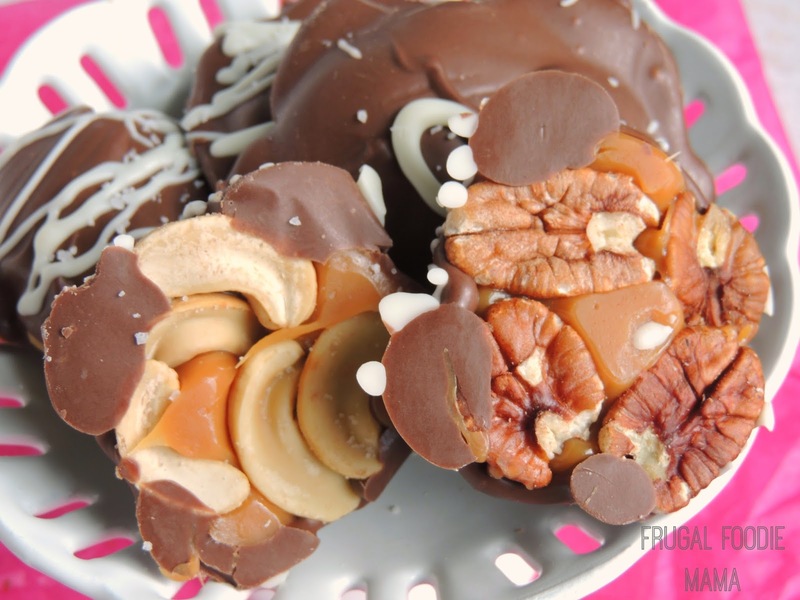 In keeping with the sweet treats for mamas theme I have going on this week, today I am sharing with you all this recipe and how-to for Salted Cashew & Pecan Turtles. These chewy & rich candies are dedicated to another important mother in my life- my dear friend, Kate. Some of you all are already familiar with Kate's story. Especially if you were following along with me about this time last time. But if you do not know Kate and the courageous mother and woman that she is, be sure to click on over and follow her on The Chronicles of Cancer. Kate, a mother to 3 (and 2 angels) & wife to a police officer, was diagnosed in January 2013 with Stage IV breast cancer. Her type of cancer has been given a less than 5% chance of being cured. But that has not discouraged Kate from looking ahead, planning ahead, and doing everything in her power- medically, mentally, & spiritually - to make sure she is here sharing as many memories as she can with her husband and three young children. In fact, Kate created The Mommy Bucket List in her crusade to share more experiences & moments, & create memories for her children. While many of the items on her list can be accomplished with money and donations, many can only be crossed off with the gift of more time, a cure even. In May of 2013, I held my first ever Baking For Kate online bake sale in order to raise funds for Kate's Mommy Bucket List. It was met with such success that I knew Baking For Kate was not going to be a one time deal- it would become an annual event for me. This year's Baking For Kate event will be held May 24-25 on the Baking For Kate Facebook Page. Melt the Chocoley Caramel on low heat until it reaches 170° F. Ideally, use a double boiler or a double boiler insert. Do not let the water touch the bottom of the double boiler. Only let the water simmer. Do not allow it to boil or you may burn the caramel. If you must use a microwave, melt on medium heat for short periods being very careful not to overheat the mixture. 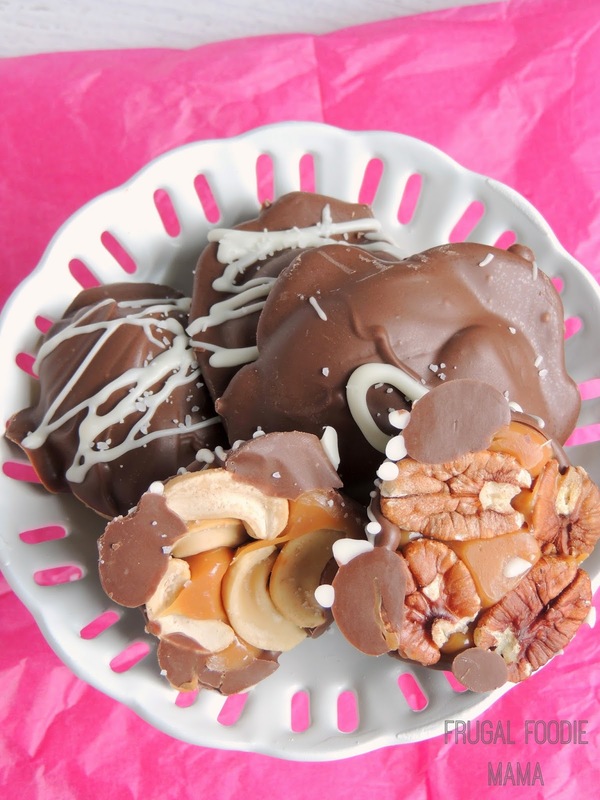 For each turtle you are making, arrange 5 pecans in a tight group on glossy side of Heavy Weight Dipping Sheet. Spoon caramel into a small mound over pecans to create clusters. Let caramel/pecan mixture set up. Melt chocolate using instructions that came with your Chocoley chocolate. Ideally, use a double boiler (or a double boiler insert). Do not let the water touch the bottom of the double boiler. Only let the water simmer. Do not allow it to boil or you may burn the chocolate. If you must use a microwave, melt on medium heat for short periods being very careful not to overheat the chocolate. Once the Caramel has cooled & hardened, use a spoon to coat the caramel/pecan cluster with as much chocolate as desired. Prepare the Chocoley Drizzle & Design White Chocolate according to the package directions. Drizzle and decorate your turtles to your preference. Lightly sprinkle the design chocolate with sea salt or Kosher salt before it sets. Seal in an airtight container until ready to serve. Store at room temperature in low humidity. **Recipe for the Turtles courtesy of Chocoley.com. I do have to brag a little about Chocoley.com for a moment. I pitched my idea to them about creating something for Baking For Kate with their delicious products, and they were all in. They sent me everything I would need to create this first batch of turtles and for the batch I will be making for the highest bidder from Baking For Kate. And they have everything that a skilled candy maker could possibly dream of as well! Be sure to click over & check out their site. If you plan on bidding this year, please RSVP to the event HERE. That will ensure that you stay in the loop for all Baking For Kate online bake sale updates. 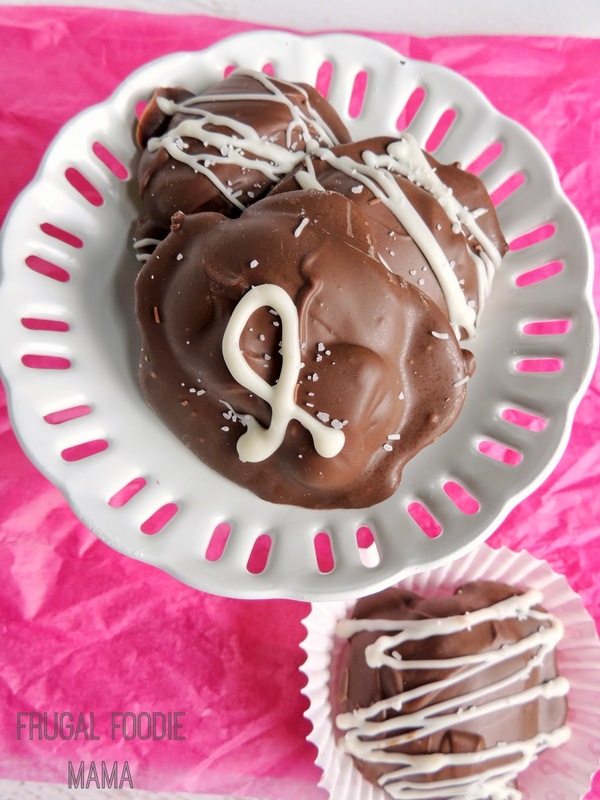 Be sure to click on the button below to visit the Baking For Kate Facebook page (that is where the bake sale & all the bidding will take place!). I want to wish a VERY Happy Mother's Day to all the beautiful mamas out there!